B-The one to make a difference learn CPR, First Aid, Asthma & Anaphylaxis Management with B-Ready First Aid in Brisbane's North, South East & West. A little reminder to check for capillary return whenever applying a bandage! 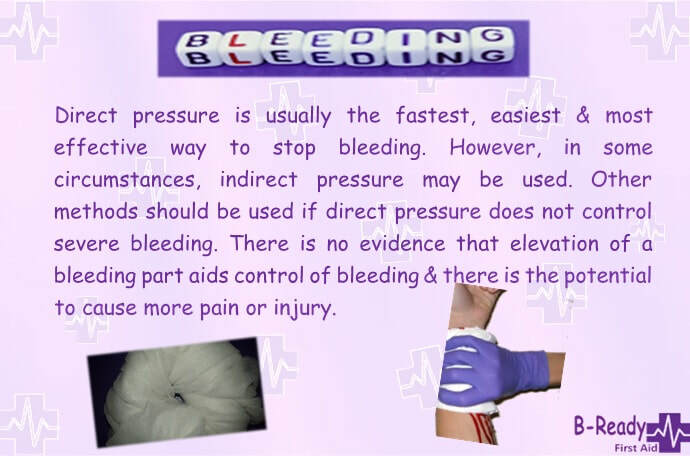 Major or minor bleeding can be scary. Applying just the necessary pressure, on or around it to stop the flow & remember to stay as calm as you can. I was amazed at some of the other things I came across while creating this, just too much to include...So glad things have improved. 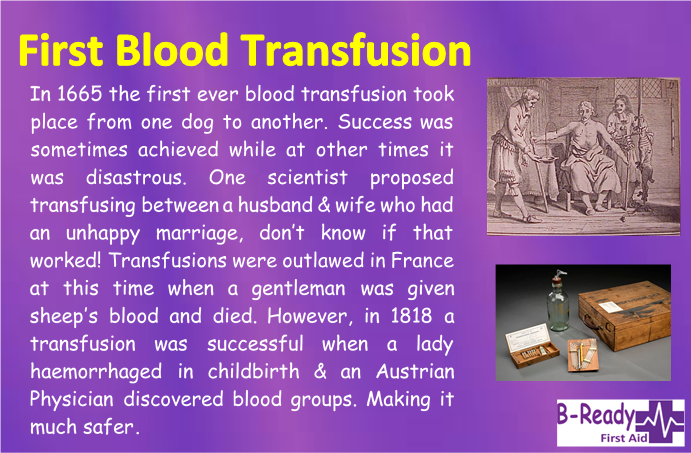 Lots and lots of people died in the wars from infections due to their wounds not being managed effectively enough. Here is something you might find interesting & a little bit scary if you lived back in those days. 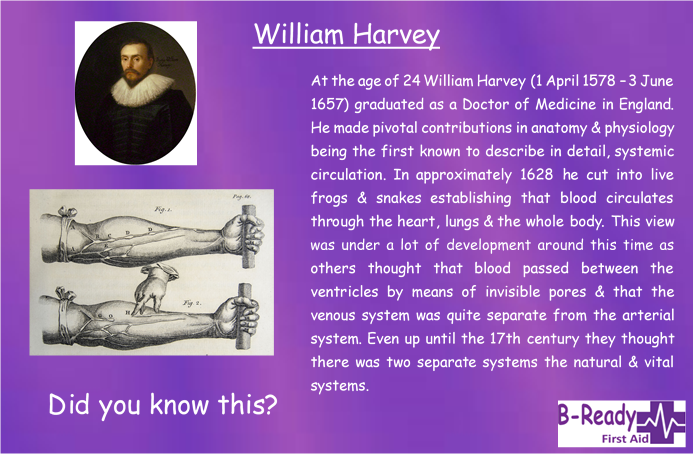 Here is a snippet of Medical history! Oh how things & understanding has changed & will continue to do so to continue to improve our outcomes. 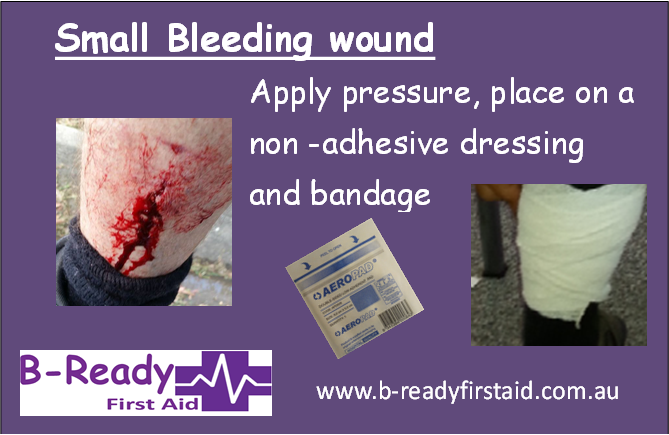 Here are some types of wounds that you might encounter, especially if you are responding as a First Aider. 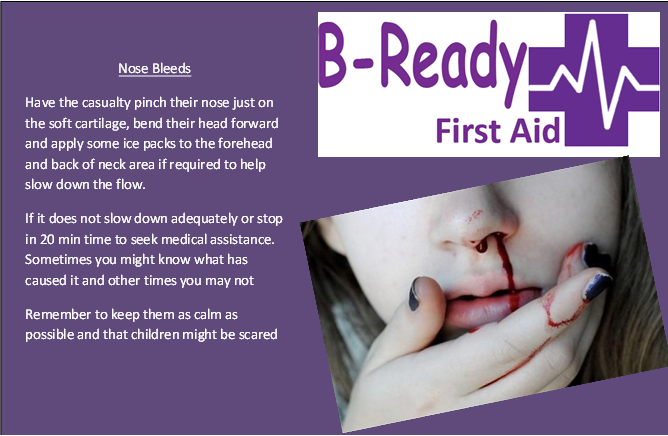 How would you manage these different types, if you don't know learning First aid can B-The difference for you to B-Ready. 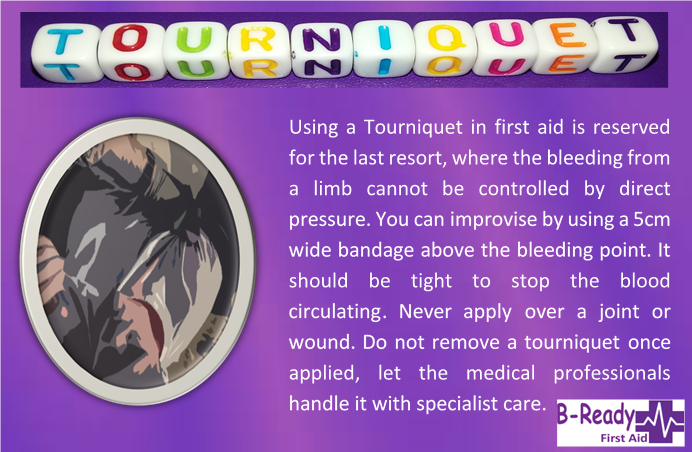 Some information regarding tourniquets & their use not always taught in First Aid classes. If you have a really stocked first aid kit you might not have to improvise, but if now here are some ideas to help you along the way. B-Safe & B-Ready! What can you think of? 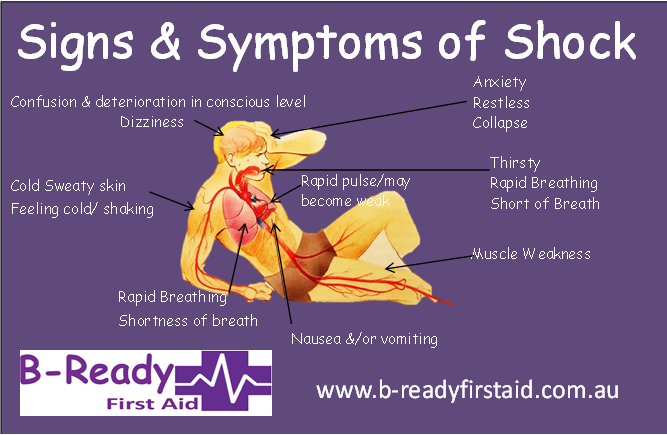 B-Ready B-Prepared & help reduce the effects of shock. The signs & symptoms of shock may not be obvious immediately. 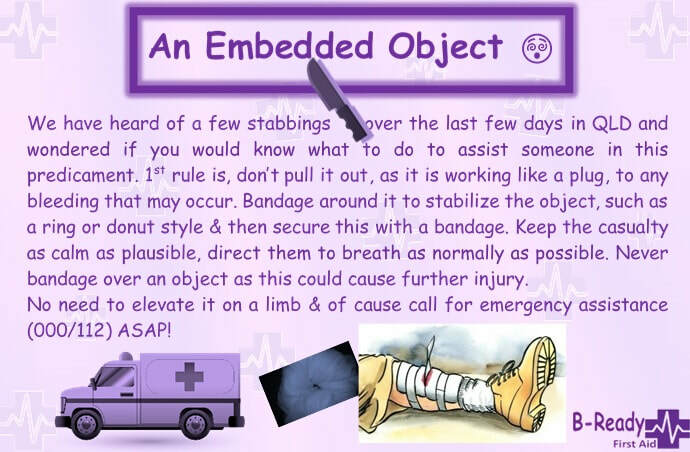 B-Ready First Aid.. Embedded Object & Ring Bandages. 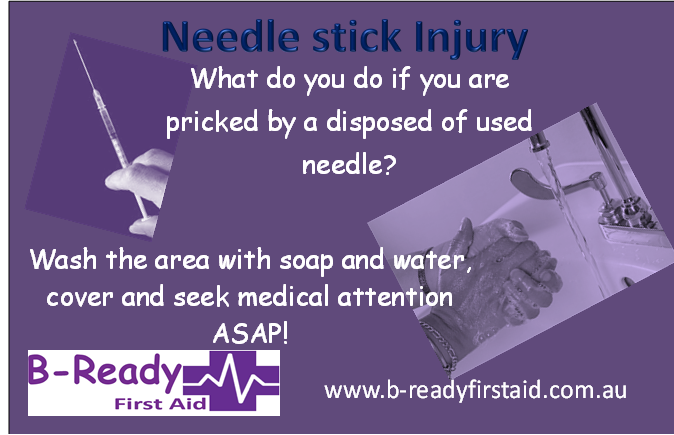 B-Ready Needle stick injury management.